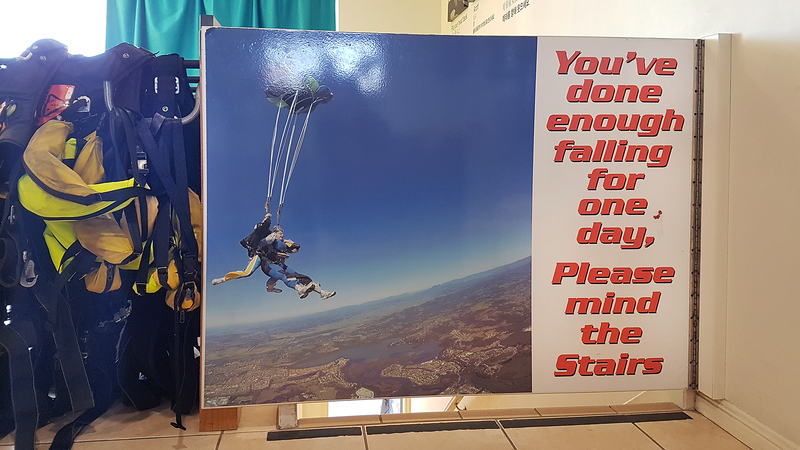 I don’t even dare to take the rides at theme parks, so I don’t know how I found the courage for this impulse purchase – a skydive! My travel partner has been wanting to skydive for a long time, but everytime he was booked to do one, it rained. 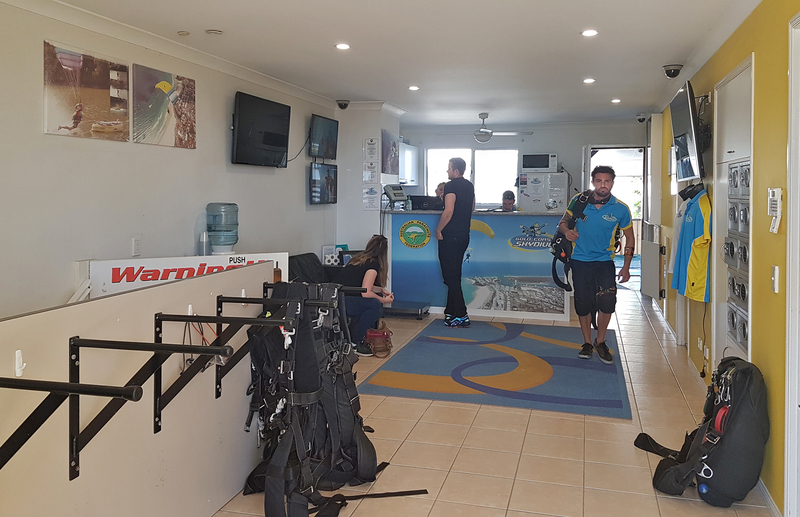 So he was understandly excited when he saw skydiving being one of the suggested activities in hotel guide at Halcyon House. Fate has it that Mauro, the hotel’s charismatic General Manager, was just as enthusiastic about skydiving, and promptly booked us for a skydive with Gold Coast Skydive. Fear didn’t strike me until the moment they suited me up and got on the plane. Me: Is this the height we gonna jump? 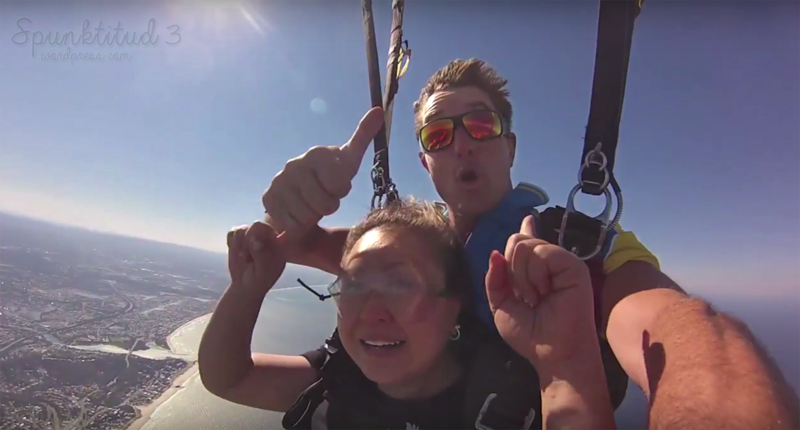 My tandem partner Tom: Nope, this is only 3,000 feet, and we are going to jump at 12,000 feet. This is only a quarter of the height we gonna jump. At that moment, I was praying real hard. What da f*** did I just get myself into, I said to myself. The scariest moment of my life came when we started to jump one by one. There was no turning back. I SURVIVED! Gosh, I am so proud of myself LOL. 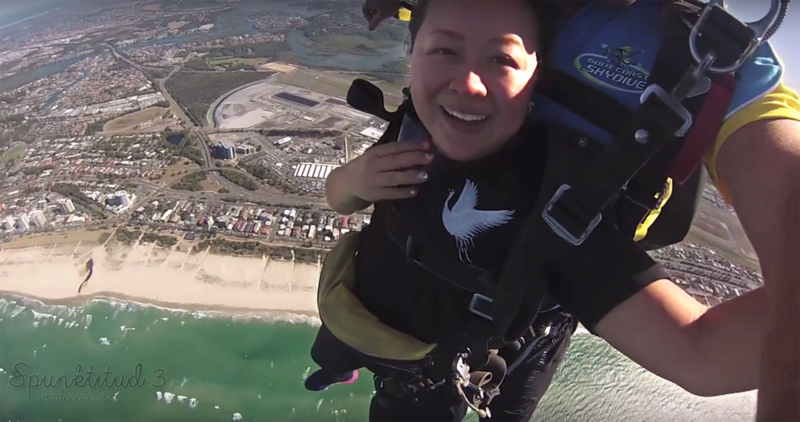 The freefall was quite cool, and I felt like Superman. Tom was awesome and uber experienced, and made it more fun. Taking a moment to enjoy the scenery from above. 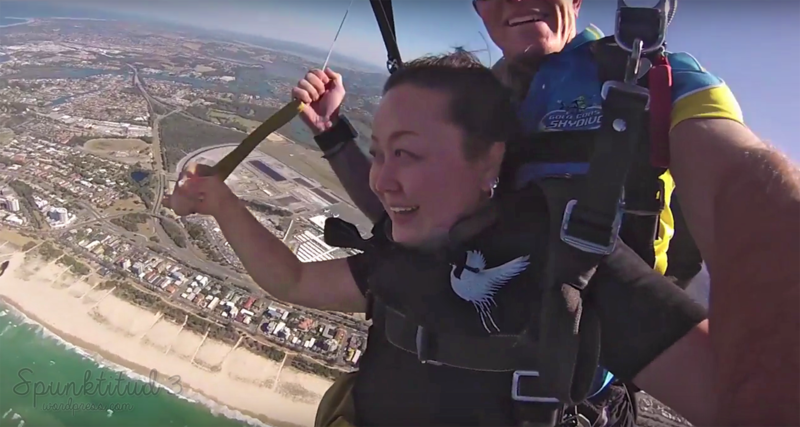 I got to control the parachute for a while, though I got a little dizzy from the spinning when you pulled only on one side. 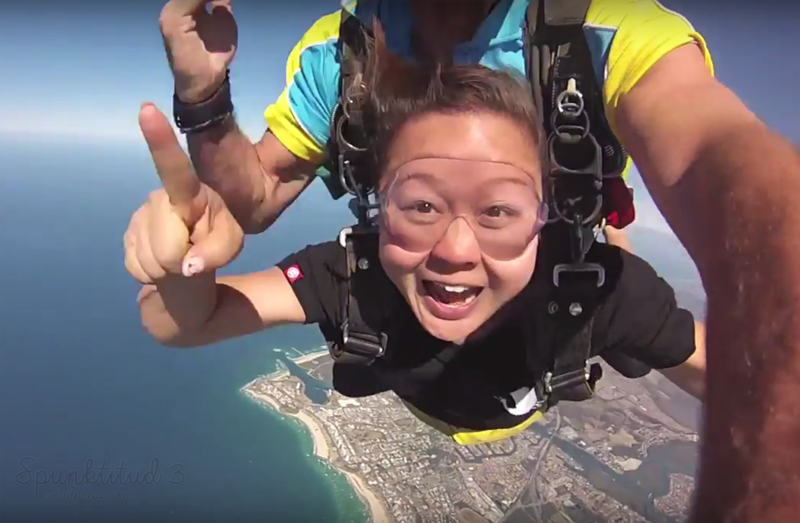 Categories: Travel | Tags: adventure sports, aerial, australia, beach, coolangatta, daredevil, expreme sports, fun things to do, gold coast, gopro, once in a lifetime, skydive, skydiving, tandem, things to do in australia, things to do in gold coast | Permalink.